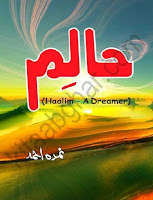 Haalim Novel pdf Download or read online Here you can read Haalim Novel by Nimra Ahmad or download in pdf form. Book Description: It is a serial story which is publishing in a monthly digest in the episode form. The writer gave the new title to every part. The story got popularity from its first release.